Errol is a Professor of Architecture in the School of Architecture and Planning at the University of Auckland. He has qualifications in architecture and urban design, and a PhD in urban planning, and is the Co-Director of the University of Auckland Urban Research Network. Errol's research interests are in urban design, including theory and practice, urban settlement history, architecture in developing economies, traditional architecture and settlement in Africa, the histroy of the modern movement in architecture and urbanism and medium density housing. Current research concerns urban design, which has involved a comparative study of urban growth management and urban design outcomes in Vancouver, Portland, Auckland and the large Australian cities, and has led to a large project concerned with urban intensification in Auckland. He is a lead researcher on Building Better Homes, Towns and Cities, and the Principal Researcher on Shaping Places: Future Neighbourhoods. Ella is a senior lecturer in the Faculty of Māori & Indigenous Development, Te Ara Poutama, at the Auckland University of Technology. Her academic background is in Sociology, Management Studies and Māori Development. Her Masters focused on Māori women and leadership and her PhD on Māori entrepreneurship in screen production. Ella has also been actively involved in the development of the Māori screen industry, serving as Chair of Nga Aho Whakaari, the Māori screen guild. She was a Treaty Negotiator for her Iwi, Ngātikahu ki Whangaroa, and is also a member of a research group looking at Māori leadership and decision-making, funded by Ngā Pae o Te Māramatanga. Marc Aurel Schnabel is the Dean of the Faculty of Architecture and Design, Professor in Architectural Technology at the School of Architecture, Victoria University of Wellington, and Visiting Professor at the School of Architecture, Sheffield University. Trained as an Architect, he is leading research and education in the field of Architectural Technology. As President of the Architectural Science Association (ANZAScA) and Past Presidents of CAADRIA, the international Association for Computer Aided Architectural Design Research in Asia, the Industry Advisory Board of Autodesk and founding member of buildingSMART HK, he is affiliated with various professional bodies and scientific committees. He has taught and worked in Germany, Australia, and Hong Kong for over twenty-five years and has become highly recognised for his work in the areas of computational design and learning environments. He is Principal Investigator for Better Homes, Towns and Cities, researching in the fields of augmented- and virtual reality, digital heritage, parametric design learning and inter-professional development. Karen is the Professor of Public Health at the SHORE Centre at Massey University in Auckland. She is a geographer and psychologist with an interest in urban neighbourhoods and how their design and infrastructure influences the social relationships, transport choices and well-being of residents. Recent and current studies include: investigating how the physical and social neighbourhood environment influences the physical activity behaviours of children and adults; children's experience and use of diverse urban neighbourhoods; process and impacts of school closure; social, transport mode use and health impacts of a street re-design intervention; residential choice and community formation in various urban development models. 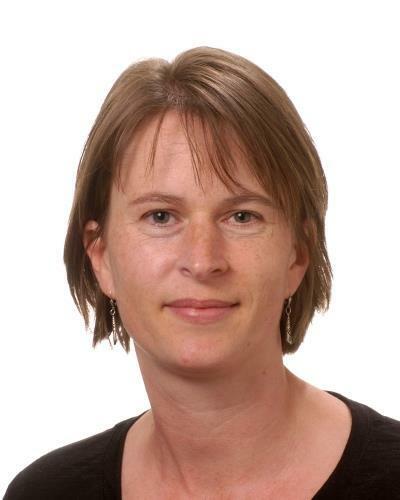 Karen completed her PhD at the University of Auckland in 2004. Suzanne is a Lecturer in Urban Studies at the Faculty of Environment, Society and Design at Lincoln University. She completed her Masters degree on neighbour's responses to infill housing and urban intensification, and this sparked an enduring interest in the ways in which cities influence and are influenced by people. She began teaching full-time at Lincoln University in 2008 having completing her PhD on the topic of urban sustainability in New Zealand and has since continued exploring the ways in which people, collectively, make and remake cities, even under conditions of uncertainty. Suzanne has a long-standing research interest in urban everyday life, and collective efforts to shape cities and the broader frameworks through which these efforts are mediated. Through her own work and supervision, she has explored various aspects of urban sustainability and resilience, such as gardens, homekill networks, vacant spaces, house and home, GMOs, seafood gathering, and the commodification of community.